Rampant as well as unscientific hill-cutting in and around Guwahati has made the city extremely vulnerable to earthquakes. Ever increasing anthropogenic factors are simply compounding the threats on lives of Guwahatians. According to a study carried out by the Assam State Disaster Management Authority (ASDMA) in collaboration with the Assam Engineering College on landslides in Guwahati recently, altogether 366 sites are vulnerable to landslide and 74 per cent of these sites demand immediate attention to prevent loss of human lives and property. The study points out to the fact that 34 per cent of the 366 vulnerable sites do not have any vegetation cover. This, in turn, results in erosion and rut formation leading to instability of the slope. Further the eroded soil particles tend to block the natural streams and drains downstream. Academicians have blamed unplanned and unscientific constructions on the hills for these landslides. They have opined that haphazard developmental activity is largely to be blamed for the landslides in the region. It may be recalled that on July 11 this year, altogether 14 people died in the Papum Pare district in neighbouring Arunachal Pradesh due to landslides. 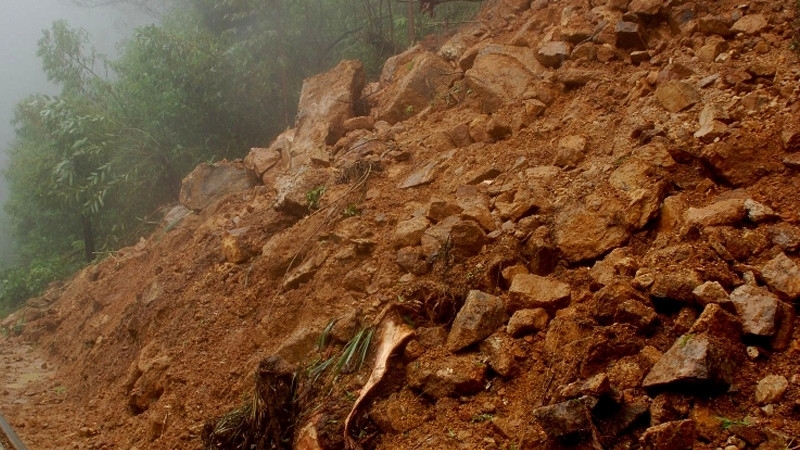 Assam has so far witnessed a total of 19 landslides this year—eight in the Kamrup Metro district, ten in the Dima Hasao district, and one in the Lakhimpur district.